Is a New, Super Destructive Hybrid Termite Coming? 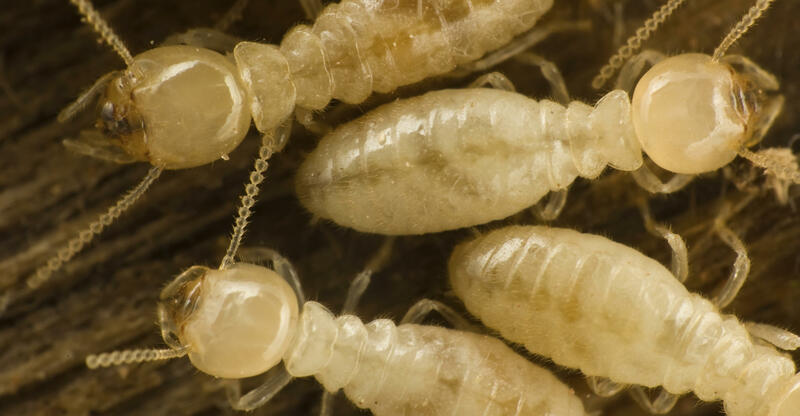 Florida entomologists have observed two of the world's most destructive termite species swarming at the same time in South Florida, resulting in colonies of hybrid termites that grow fast and could spread beyond the sunshine state. The two species, Asian and Formosan subterranean termites, are the subjects of a new paper just published in the journal PLOS ONE by a team of University of Florida researchers. Before 2013 and 2014, the study's authors say, the two species had never swarmed simultaneously in South Florida. But now, with their dispersal flight seasons overlapping, the termites have had a chance to mix and mingle. And, to make matters worse, the male Asian termite seems to actually prefer the Formosan female.